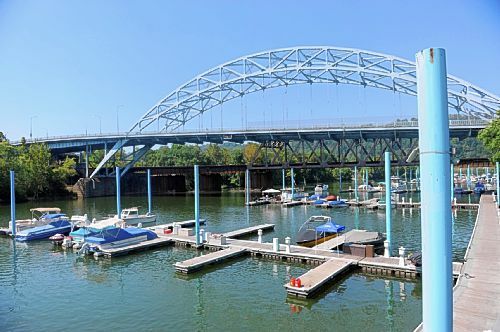 The Washington County Commissioners have approved a $971,000 federal grant application to refurbish the Fredericktown Ferry, better known as Fred, which links two tiny towns separated by the Monongahela River. Fayette County officials signed off on the application last year. The Port of Pittsburgh Commission recommended repairing the cable driven ferry that shuttles vehicles and passengers across 800 feet of the river between Fredericktown, Washington County, and LaBelle in Fayette County. The three- to four-minute trip saves motorists from driving about 16 miles to the nearest bridge. The 60-foot-steel boat can carry six vehicles per trip, and transports about 500 each day. As local historic landmarks go, the red-brick building and soot-streaked stone retaining wall that runs several hundred yards along Henderson Street in the North Side give little indication of their importance to Pittsburgh’s past. Trees, shrubs and weeds have pushed their way through joints of the wall’s cut sandstone blocks, and sections lean precariously under the weight of the hillside rising above. 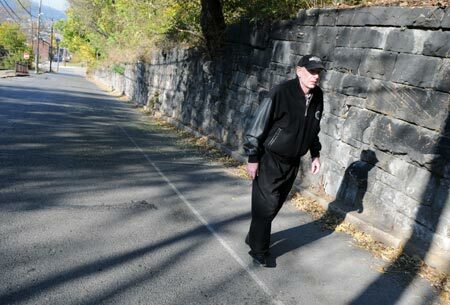 The walls and building along Federal Street are remnants of an incline that curved 70 degrees and ferried riders up and down the hillside between old Allegheny City and Nunnery Hill. The neighborhood perched on the hill behind Allegheny General Hospital was named for Flemish nuns who ran a school for girls there in the 1830s. It became Fineview. On Wednesday, the city’s Historic Review Commission agreed. In a 4-2 vote, the commission recommended that Pittsburgh City Council designate the structures as historic landmarks. Commissioners Linda McClellan and John Jennings voted against the nomination. The incline was designed by prominent civil engineer Samuel Diescher, who designed the Duquesne Incline and the machinery for the Ferris wheel. The building at the corner of Federal and Henderson was the incline’s base station but was not part of the original petition seeking historic preservation. Commissioners thought it was important to preserve the structure and the wall. The building’s owner, Jonathan Shepherd, does not have to agree to a historic preservation designation for the process to proceed. He could not be reached. “In the long run, I think the historic designation will be a benefit to the community and the owner of the property, especially with all the development that’s occurring along Federal Street,” said Walt Spak, vice president of the citizens council. “And if there are any ways we can help the owner by obtaining grants or whatever is available to make improvements, we’ll be behind him,” he said. A historic designation means property owners must obtain commission approval before making changes to the exterior. Federal money intended to plug an unsightly concrete gap next to Interstate 579 might be used at Consol Energy Center instead. At the request of the Urban Redevelopment Authority of Pittsburgh, Sen. Bob Casey proposed redirecting the $974,000 earmark to pay for most of a walkway that would hug the exterior of the Penguins’ new home and connect its Fifth Avenue and Centre Avenue entrances. People working on a master plan for the Lower Hill District and trying to preserve the Civic Arena question whether a Consol walkway is the best use of federal money in a neighborhood struggling with crime and poverty. Redwood supports the concept of the $1.5 million walkway at Consol but said his group lobbied city police to address concerns about drug deals occurring near the Zone 2 station on Centre, not far from the arena. Casey, D-Pa., declined to say whether he believes there’s a better use for the money, but he’s aware no consensus exists. The Consol walkway, dubbed “Curtain Call” by California artist Walter J. Hood, would feature 15-foot-tall stainless-steel curtains, a lighted path and photos of Hill District life embedded in the steel sheets. URA Executive Director Rob Stephany said an “engineer’s sketch” of the I-579 “cap” project between the Hill District and Downtown would cost an estimated $15 million. After learning from the Sports & Exhibition Authority, which owns the new $321 million arena, that it lacked enough money to pay for Curtain Call, URA officials requested the money from Casey, Stephany said. Rob Pfaffmann, a Downtown architect and frequent critic of the hockey team’s desire to demolish the Civic Arena and develop its 28-acre site, supports Curtain Call. Pfaffmann formed the grass-roots group Reuse the Igloo. He believes the connection between Fifth and Centre is crucial because walking outside from one side of Consol to the other is difficult. “Frankly, the Penguins should have paid for it,” Pfaffmann said. In 2007, the Penguins agreed to contribute $4.1 million a year for 30 years to pay for part of the arena. Pittsburgh’s Rivers Casino pays $7.5 million a year from gambling revenue, and the state funding fueled by casino taxes chips in another $7.5 million a year. The city Planning Commission required the walkway at the arena, Stephany said, noting the team never wanted anything so elaborate. “We kind of fell in love with that notion of a public art project and pedestrian way,” he said. The walkway would be open to everyone, not just hockey fans, he said. In the golden days of railroad travel, amenities abounded for the rider, especially on the long distance excursions. 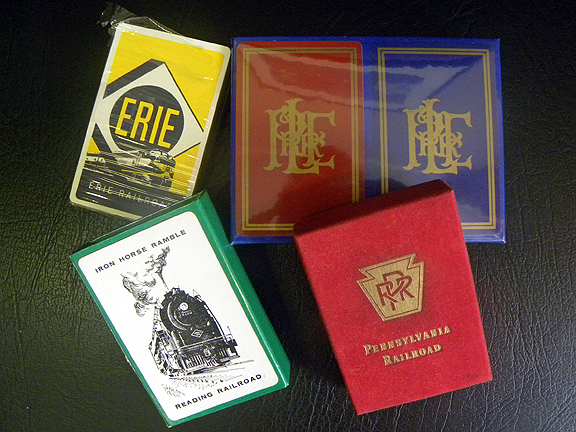 Railroads provided decks of cards to passengers, many times given out free. These cards were good advertisements for the sights that could be seen along the way. They also showed pictures of the rail cars and engines of that particular rail line and/or reminders of the great historical background of a railroad. 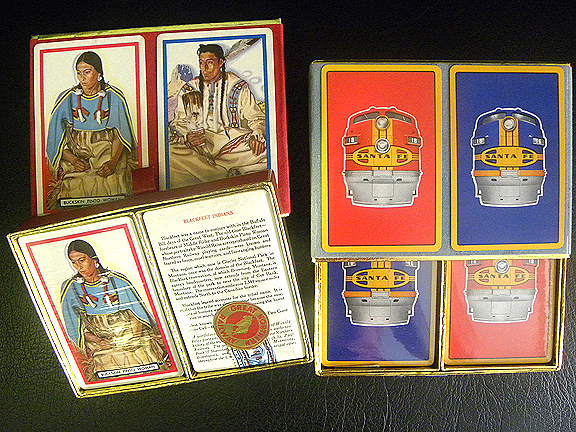 Many of these cards came in durable boxes; some are covered in velvet-like material. These cards were not produced to be discarded at the end of the journey. There is a high quality, good, long-lasting feel to the cards. 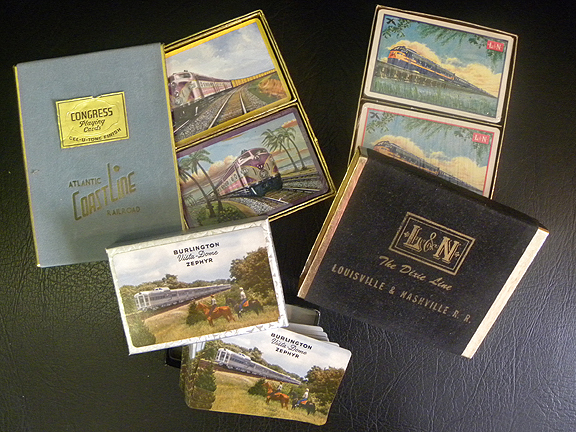 Frank Fairbanks collected these cards as he traveled the United States. 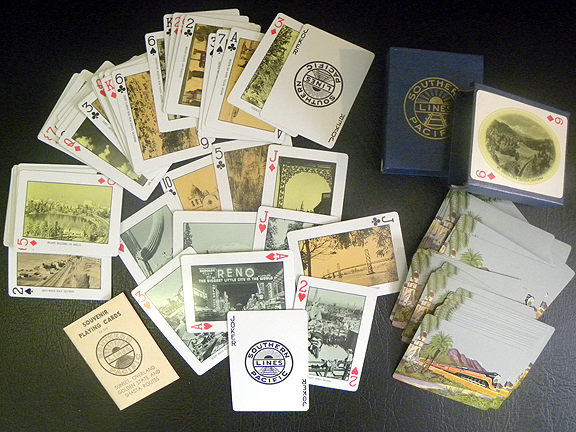 The Fairbanks Archive has playing cards from 46 different rail lines, given out on train trips between 1952 through 1965. Some of the decks still have their seals intact, and some have been opened but the cards have never been used. All the boxes of playing cards are on display in the Archive, and patrons can handle and examine each box. 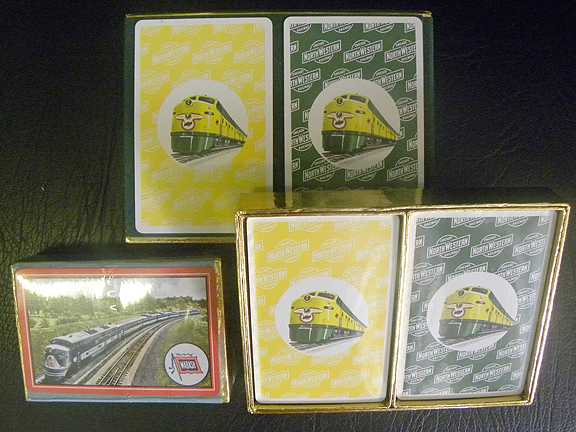 Two very interesting decks come from the Southern Pacific Lines. Each deck is different. One side of the card has a lovely color photo of the train itself. The other side has a photo of a sight along the route. With 52 cards plus extra cards in each deck, there are over 100 different well known photos along these routes in the time period of the 1950s to 1960s. 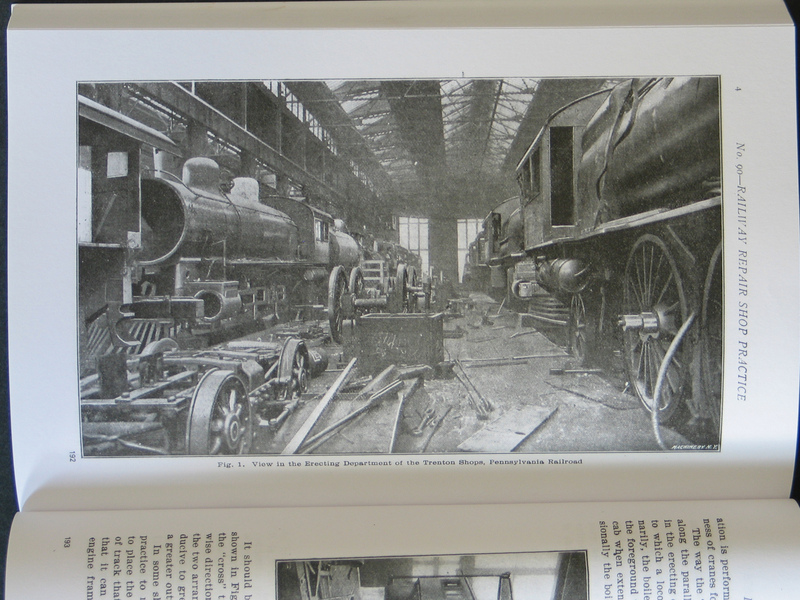 The Frank Fairbanks Rail Transportation Archive is composed of many different types of materials. “Artifacts” is the larger term for a variety of visual, touchable materials. 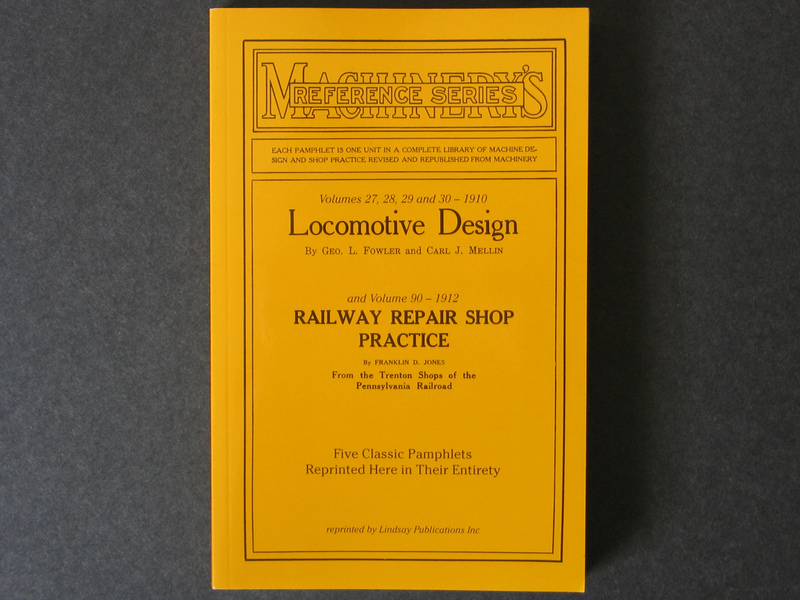 Railroad artifacts were in most cases common items during the peak days of the railroads. While once ordinary and not coveted, artifact memorabilia evokes in the observer today memories of a time when these items were part of a more carefree and less hectic life. 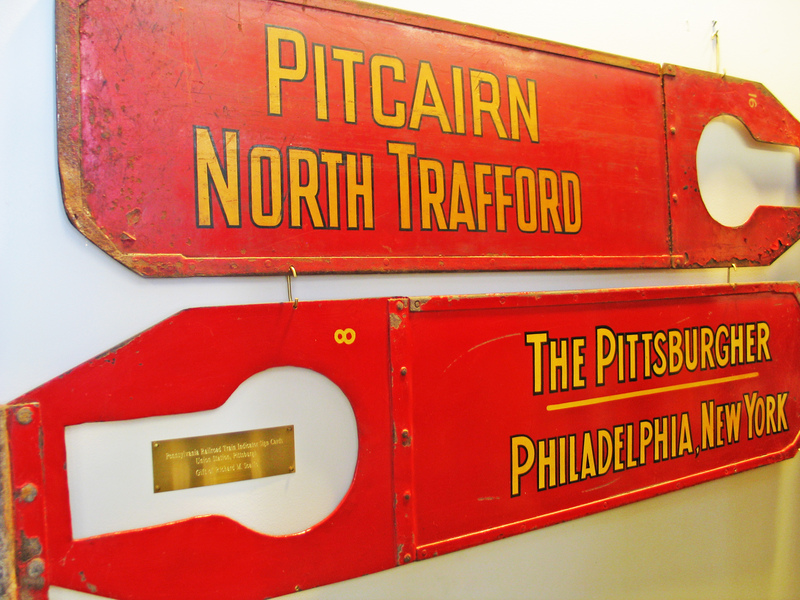 The Fairbanks Archive is pleased to have on the walls of the Archive room 10 outdoor signs from the Pittsburgh Union Station, located at Grant and Liberty Avenue, in downtown Pittsburgh. 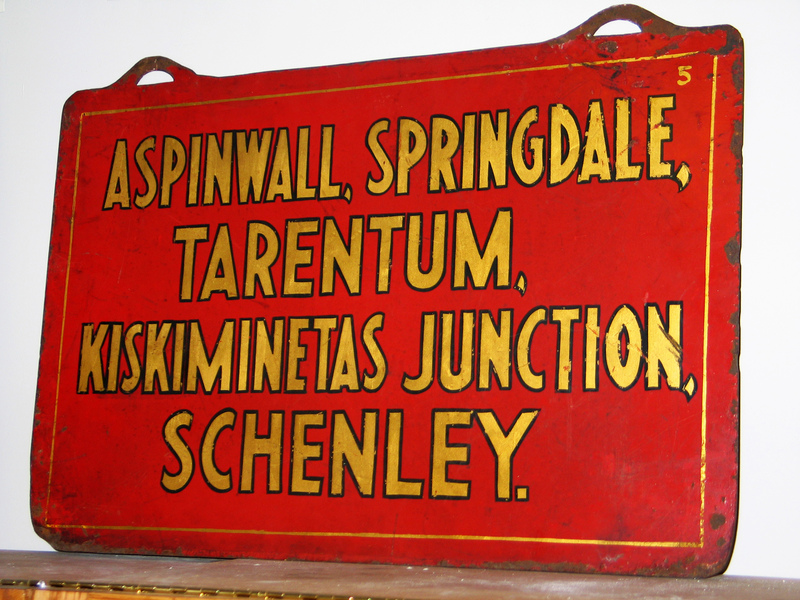 All railroad stations once had such signs, indicating where to catch the trains to different destinations. 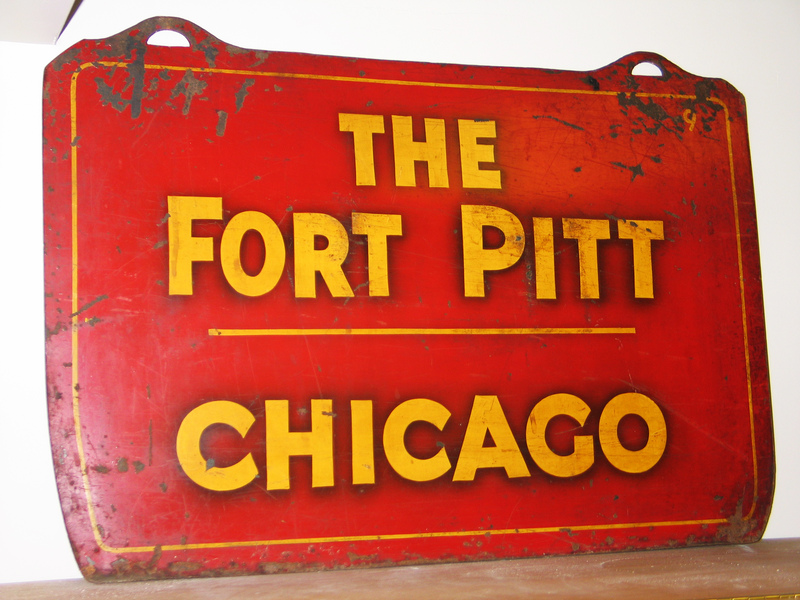 While nothing is unique about these red signs with gold lettering, ranging in size from 13 to 51 inches and 18 ½ x 26 ½ inches, they are “the stuff “ that makes for memories. 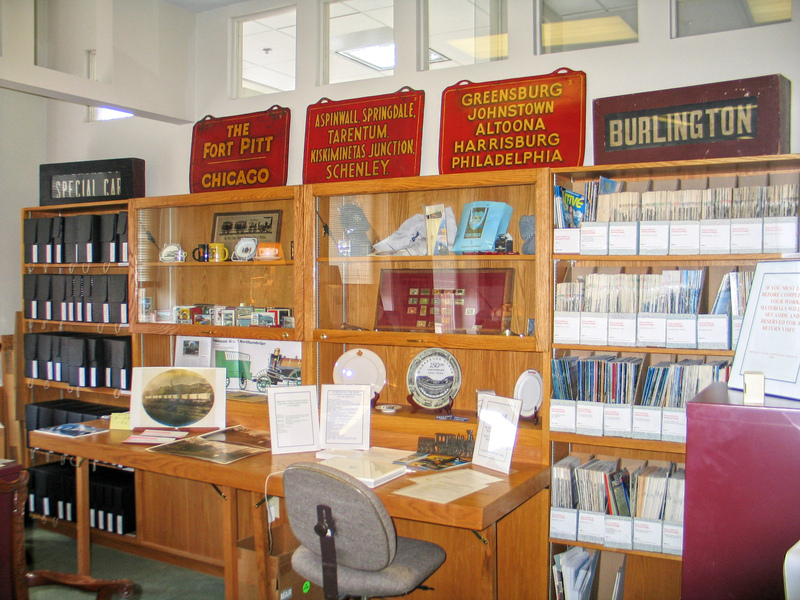 Visitors to the Archive stand looking at these signs and immediately recall their own personal connection to these destinations from Union Station. We are grateful to have these signs. The catalog, however, is a gold mine of books that cannot be found elsewhere. Most of them are reprints, the originals long out-of-print and their value not known until Lindsay found and resur-rected them. Two of these unique reprints are in the Fairbanks Archive for your enjoyment. The Catalog is also available for your enjoyment. 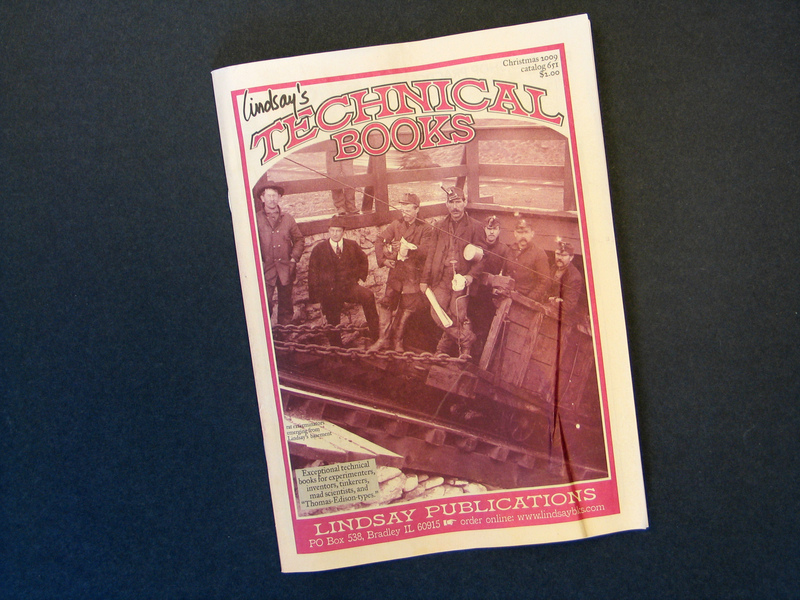 Catalog page advertising one of the books to be found in the Fairbanks Archive. Cover. 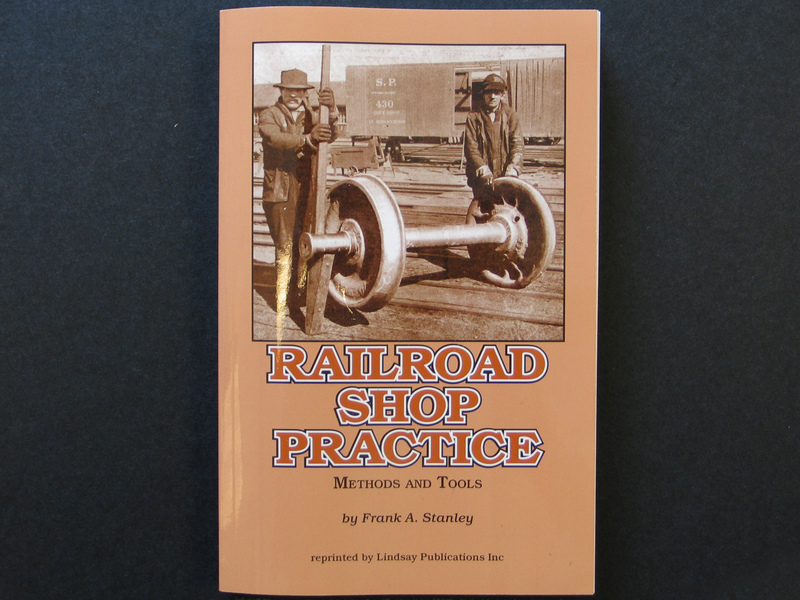 Railroad Shop Practice. Methods and Tools by Frank A. Stanley. Originally written in 1921. Cover. 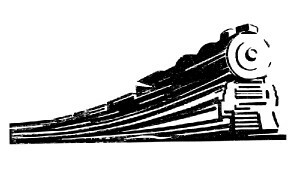 Locomotive Design. Volumes 27, 28, 29 and 30 from 1910. By Geo. L. Fowler and Carl J. Mellin. 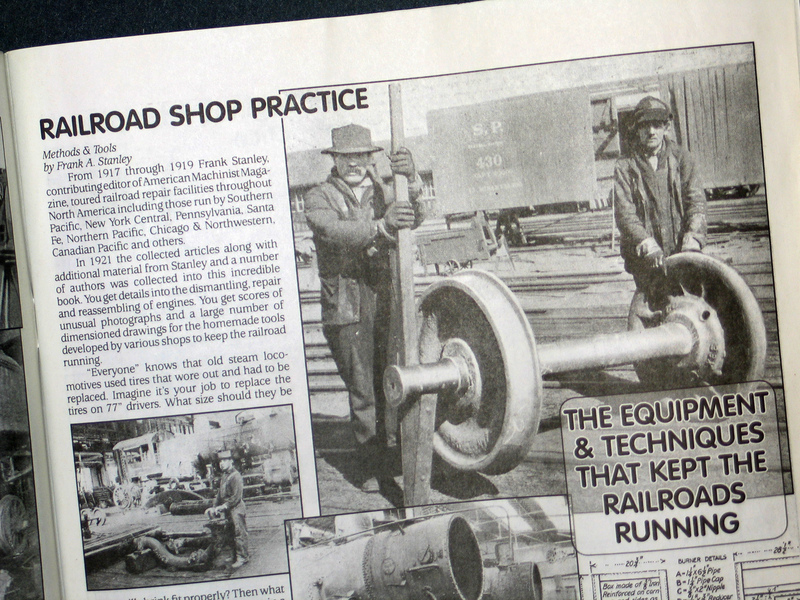 Railway Repair Shop Practice. Volume 90 from 1912. By Franklin D. Jones. 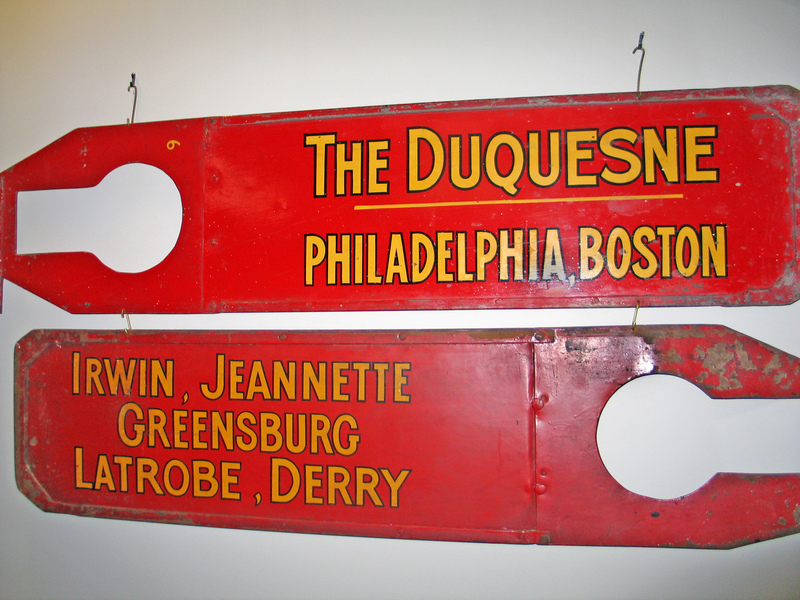 From the Trenton Shops of the Pennsylvania Railroad. Picture, page 192. 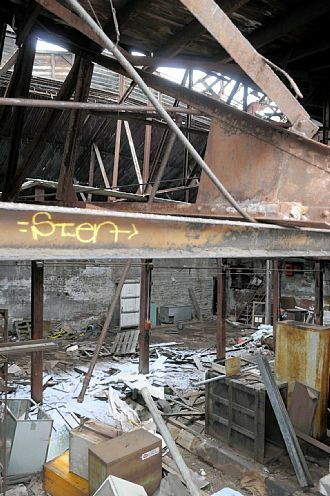 View in the erecting department of the Trenton Shops. From the above Railway Repair Shop Practice.